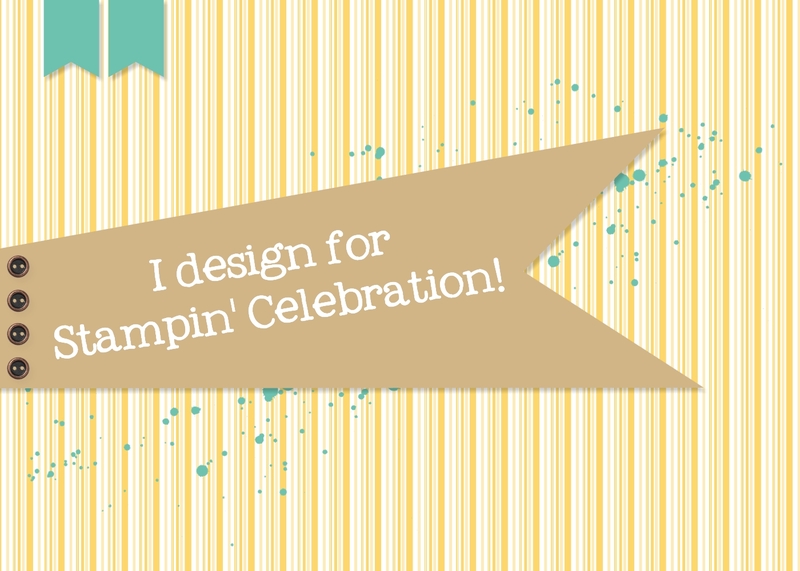 I am so excited that it is the 100th challenge for Stampin' Celebration! While I was not here for the beginning, I have certainly enjoyed being a part of this fabulous team! Such great inspiration from these talented ladies! This month's sketch was so inspiring, I had a few things running through my mind and in the end the things that grabbed me from this sketch were the stripes, the big white flower with the black middle and the white and green. After a bit of thought I had an idea and just had to wait for a day I could put ink to cardstock and make it a reality. I just love the Butterfly Basics stamp set from the Stampin' Up! 2015 Occasions catalog. It has such great images and is very versatile. I decided to stamp the stripes in black (using the memento ink pad) onto whisper white cardstock. Then I took vellum and stamped the leaves using garden green ink and added some white cotton twine in a swirl. I love this effect! Lately I have been cutting up ribbon to get the thin strands of threads to do the same thing. A great effect and it adds a nice pop of color or shape. For the flower, I punched 5 flowers using the 1-1/4" circle scallop punch and cut between the scallops for each flower. Then I added an antique brad for the middle. The greeting is from the Saleabration stamp set called Simply Wonderful. I love how this card turned out. I have been busy at work lately and so I haven't had the energy to create. I am very happy when my time spent creating is time well spent! Thanks for checking out my blog! To celebrate the 100th post for Stampin' Celebration! I am giving away some blog candy!! Simply leave a comment by Monday, March 23rd and I will choose a lucky winner at random. I will be giving away a few more goodies from the wonderful gifts I received as a World Card Making Day winner! Beautiful subtle effect with your gorgeous creation! love that flower, so beautiful and great inspiration too! 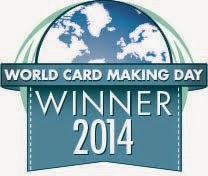 Congrats on winning at World Card Making Day! Thanks for the chance to win your generous giveaway! Hi Vinita. Apologies for the delay in response. Between traveling for work and spring break, I didn't have time to reply! You obviously won my blog candy ;). I need to get your address so I can mail you the prize. Perhaps you can send me an email?? Thanks and congrats! So excited to win your blog candy, made my day!!!!!!!! I love that creation with beautiful flower and gorgeous BG and visited your blog many times but don't have time to comment with heavy load of work, feeling sorry!. You are vey talented and creative person! I sent an same email to u! Hugs and lots of crafting love!